Warranties and guarantees can help you feel more confident about your new roof or roofing repair in Sacramento. However, they won’t do you much good if the roofing company goes out of business. Look for a company that has a proven track record, and one that has plans for the future. These are sure signs that they’ll be there when you need them. An excellent repair or installation is important, but how your roofer treats you, and how well the rest of the staff understands your needs is just as important. At Straignt Line Roofing, we deal with roofing and roofers every single day, but we know that you will probably only have to work with a roofer a few times in your life. You should be comfortable with the entire process, and you should be informed every step of the way. If you’re not comfortable with your contractor and his workers, then even the best installation wasn’t done well enough. 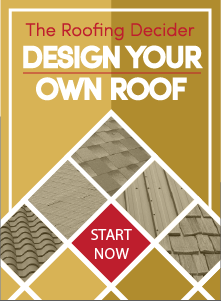 The roofing industry in Sacramento is constantly evolving as new materials hit the market, safety and environmental standards improve, and new technologies emerge. We believe staying on top of these new trends and technologies is essential so customers can choose from every available option to get exactly the products and services they need. Straight Line Roofing is operated by third-generation roofing contractors and you can count on us for all of your roofing needs. We’re also committed to creating Raving Fans from our Sacramento customers. This means that we want you to be more than satisfied, we want you to be so happy with your experience that you can’t help but tell your friends about it and we’ll work hard until we make that happen. On top of that, we are certified by all three major roofing manufacturers and in order to maintain those certifications, we’re continuously learning new things and staying on top of the latest innovations. Straight Line Roofing is a company that is here to stay and puts customer service first. No matter what your roofing needs, contact Straight Line Roofing.